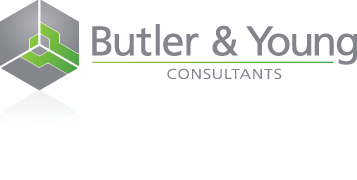 Construction Health & Safety | Butler & Young Group Ltd.
Butler & Young are at the forefront of thinking in all aspects of construction safety including bringing innovation to the CDMc process. Our focus is not only in helping clients meet their statutory duties but also on providing value throughout the construction process via a streamlined site based approach. As with all of our services we provide a national consistent approach that has full synergy with our building control and other services. Our service delivery is based on understanding our clients’ needs and is fast, efficient and non bureaucratic. Our approach to CDM is proactive and is focused around an innovative site based approach. We can advise on the management of all aspects of construction health safety, again not only assisting clients to meet their statutory obligations but in driving value from the Health and Safety process based around the welfare of site staff and visitors. We can provide general building surveying services including condition surveys, design and project management. We can provide party both Building and Adjoining Owner Party Wall surveying services.